17 months. 36 US states. 5 Canadian provinces. 15 US national parks. Folks, it has been an RV adventure of epic proportions…by our standards, at least. Especially considering that this was actually our FIRST RV experience, period. Quite a start. Honestly, it is still a little hard to believe that this part of the adventure is over for our family. 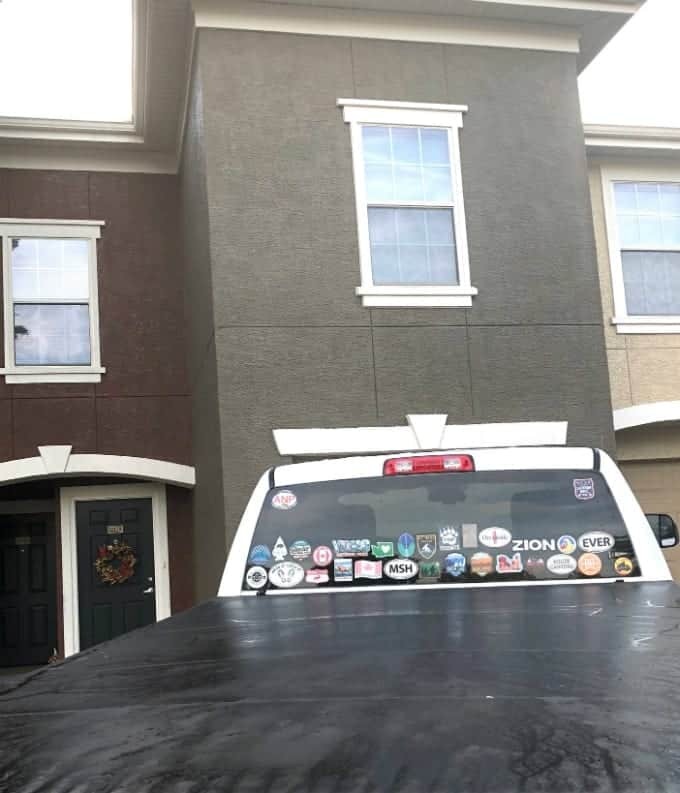 But it was specifically for the overall health and well-being of our family that we made the decision to settle back down in the Austin, Texas area in October 2018. And sure, I feel a bit nostalgic about it all and part of me will most certainly miss the incredible experiences that we had across this fascinating continent. But all in all, I feel really positive about this new season of life and am ready to jump in with both feet. But, you must be wondering what exactly motivated us to leave behind that life of adventure and breathtaking experiences that we were enjoying. Well, let me tell you what that looked like. As I mentioned, this decision was all about family. The decision to hit the road in the first place was also about family. Funny how that works out, because needs and desires constantly shift and you have to be ready and willing to adjust as necessary. This entire decision to settle back down for a while started innocently enough. You see, our 19-year old son had been with us for our entire journey since graduating from high school right before we launched. 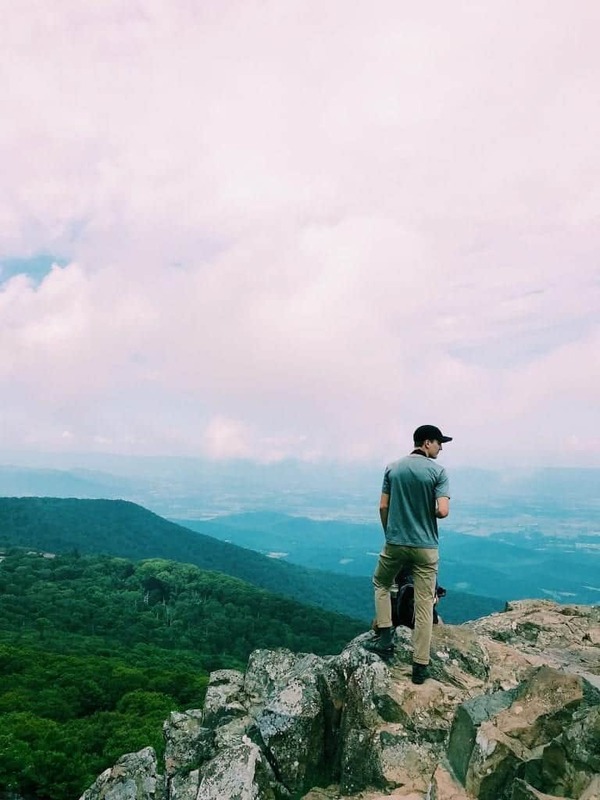 This was his “gap year” (and a half) to try and decide on the best direction, and he knew he was not ready to make the commitment to college immediately. So, he spent some of our journey learning some computer coding and another portion of it beginning to build his own travel blog and hone his photography skills and writing skills. But the time had come for him to take on this wild and wonderful world on his own terms. In order to make that happen, we had initially decided to make our way back to the Austin area and stay put for a few months while he got his feet under him. After he got settled in, we were planning to head off into the sunset toward the West coast and continue with our travels. We truly thought that’s what we all wanted. But…we have another son. As we were working through the details of the “launch plan” for son number one and soaking in the beauty of Glacier National Park in Montana, we began to notice a significant shift in the spirits and demeanor of our youngest kiddo. Since the summer had ended, and the kids had mostly vanished from the RV parks, he had grown increasingly agitated and withdrawn. And it was reaching a fever pitch. That shift sparked a conversation with dear old dad (me) in an effort to try and get to the bottom of whatever was stirring inside of him. And that conversation quickly revealed his internal struggle with feeling isolated and his excitement at the thought of returning home to some normalcy. I was as shocked as anyone that he seemed to warm up so quickly to the idea of returning to the same area and the same school and the same friends. You see has had a serious case of “wanderlust” almost from day one (he told us at age 5 that he was going to be a tourist when he grew up). So it spoke to us loud and clear when he couldn’t stop talking about getting back into school and hanging out with friends and going to football games and getting a job and getting his drivers permit in a few months. But a strange thing happened inside of us at that point that we truly did not expect. We Just Realized It Was Time for a Change of Pace. And Space. I can’t describe to you how grateful I am for the experiences that we have had on the road, for the things we’ve learned, for the sights we’ve seen, for the people we’ve met, for the struggles we’ve faced. It has all been beyond words and I would not give back a second of it. Consistently throughout our travels, Julie and I would turn to each other during surreal moments and simply ask, “Can you believe this is our life?” It just seemed too good to be true. And I still feel that way. And yet, maybe it’s possible to have too much of a good thing. It wasn’t that we couldn’t stand the idea of hanging out in another national park or hiking another scenic trail. Not at all. It was more about the pace at which we naturally moved while on the road. That pace was fast, and it was taking a toll on us. So when the tide started shifting back toward a stationary life for a short period of time, it opened the door into that part of our souls that was actually craving routine and schedule and “boring”. Oh, and SPACE. Everything about our tiny space started getting more difficult to handle once we had this idea of settling down in our minds. It was suddenly messy and annoying and unreasonable. Human nature is an entertaining thing. Could we have chosen to slow down and make things work? Well, possibly. If the first two issues with our sons didn’t exist. But taking it all as one big ball of wax, slowing down would probably only have made things more challenging across the board. As we let this stationary idea settle in, we quickly came to realize that trying to stay in the RV for several months would not be a reasonable option. It didn’t seem like a healthy situation for everyone involved which forced us to consider the more permanent housing alternatives available to us. These alternatives had several other benefits hidden inside as well: We would be just a few hours’ drive from our daughter in college so we could visit and provide support for her as needed; we could use the routine and schedule to give us a solid and consistent focus on building this new business (TREKKN) and providing a stable foundation for the next season of life, whatever that might look like; and we could also give some time and attention to friendships and community we had left behind in order to pursue this dream of travel. And so the excitement continued to grow and the uncertainty and hesitation faded into the background as we researched apartments back in the Austin area. We found the right one (2 bedrooms and 2 bathrooms) that seemed to be a perfect fit for the season of life ahead of us. It is a 5-10 minute drive (or less) to just about everything we need, walking distance to our favorite grocery store and to a Walmart, and simply a good fit all around for us. Now, here we are. About a week into this apartment dwelling existence as I write this and still in awe of the space and comfort we are enjoying. In case you were wondering, we do plan to keep the RV and join the “weekend warrior” crowd of RVers. In addition, I am fairly certain we will be doing some longer RV trips during school breaks in the spring and summer. So plenty more RVing to be done! When we are not using the RV, we are going to attempt to rent it out on RVshare.com in order to turn it into an income stream instead of an economic drain. And we are continuing to develop other travel opportunities, outside of the RV space, that we will be able to share with you as well. So keep your eyes peeled for some entertaining and informative posts as all of these new pieces develop in the coming months. This, my friend, is our new adventure. And it’s exactly what we needed. Stick around and see how this next season of life takes shape! Is Full-Time RV Living Right For You? 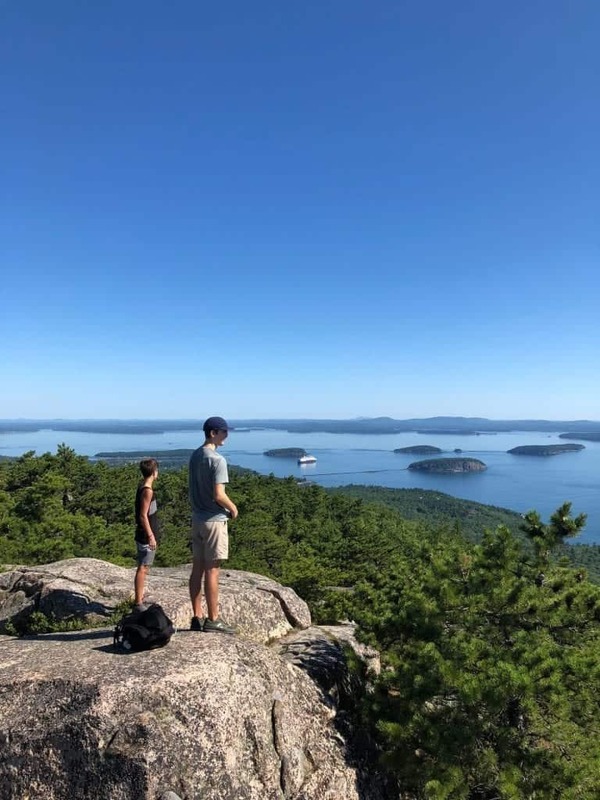 From Accumulating to Adventuring: Our Family’s 100-Day Transformation What To Do With Your RV If You Want to Stay At An Airbnb How to Make Money While Traveling – Part 1: Is Blogging Right for You? 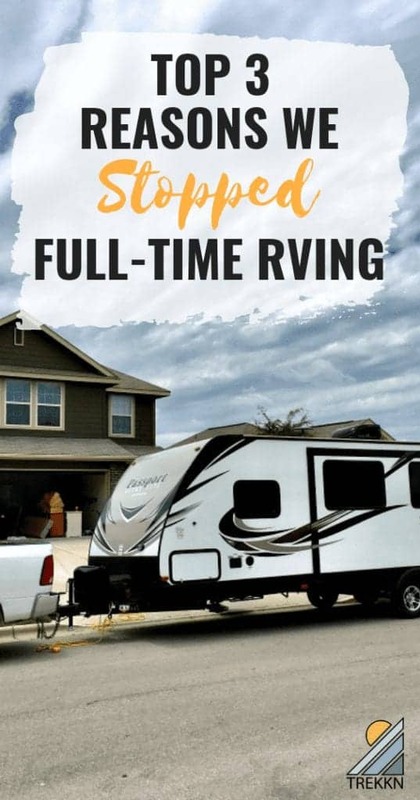 Is Full-Time RV Living Right For You? Change is always good! Hope your next season of life is just as fulfilling! Thank you Chelsea! We’re enjoying it so far. That’s awesome that you had the chance to RV full-time with your family. It’s always good to try something new! Wish your family the best! Thank you! It was an amazing 17 months. Wow sounds like an amazing journey you have been on! It sure was. Thank you! It’s so great to have the option to choose what to do with your family, and it definitely allows you to choose what’s best for them, this totally makes sense. What an amazing adventure your family has had. Can’t wait to see what the future holds, whether in an RV or in a permanent dwelling. Thanks Blythe! There is not doubt it has been an adventure, but the best is always yet to come. We will keep you posted! I didn’t even have to read your three reasons after I looked at the posted photo and growing children. It’s hard enough to get teens to go along for the weekends and RV vacations, let alone adapt to full-time RVing. It was great you have the memories and even better you’re not giving up the RV. Weekends and vacation make it more exciting anyway. It’s like living at the beach. What do you have to look forward to at vacation time? Thank you for sharing your story. Reading from Nairobi, Kenya. We dont have rv’s here. Can only wish to live a week or a month of that life experience some day.